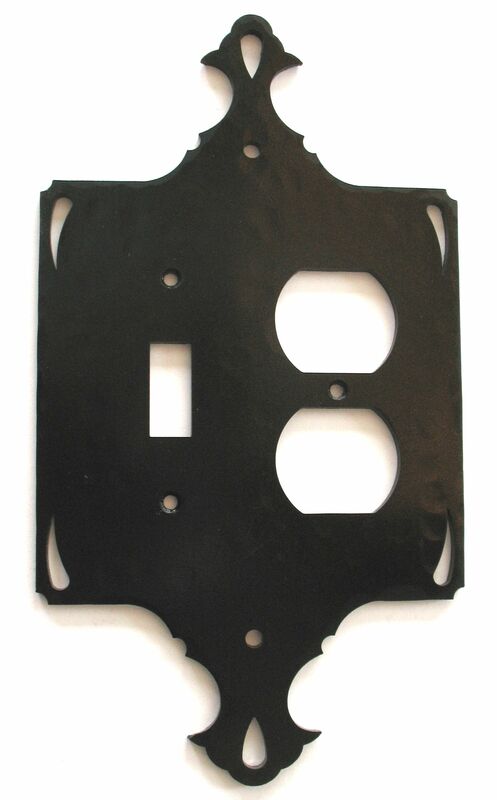 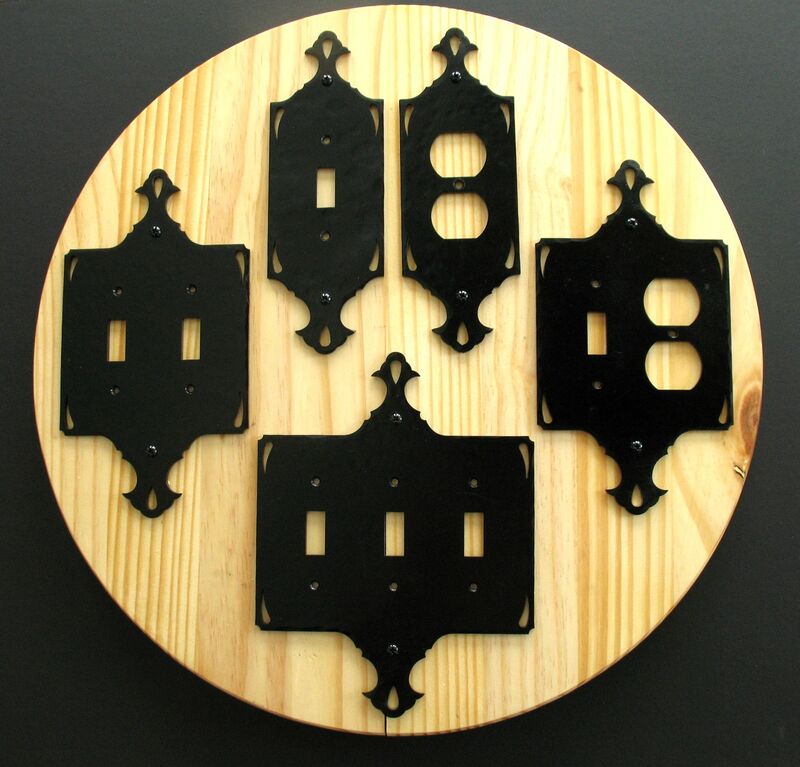 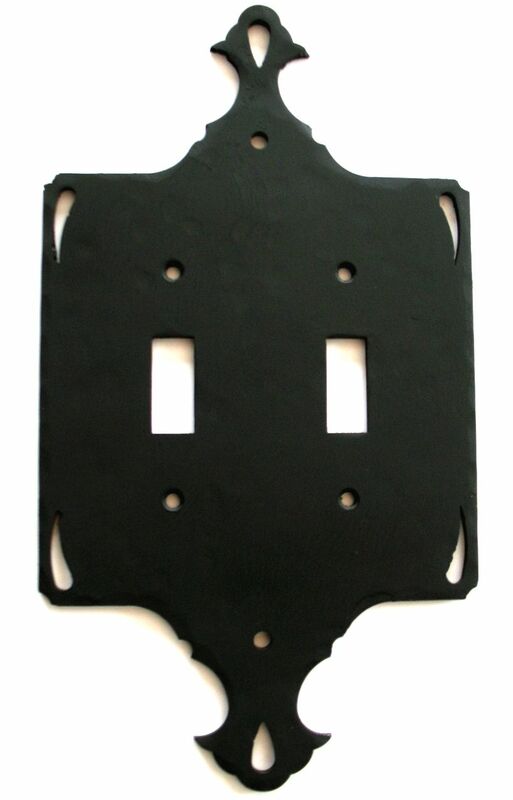 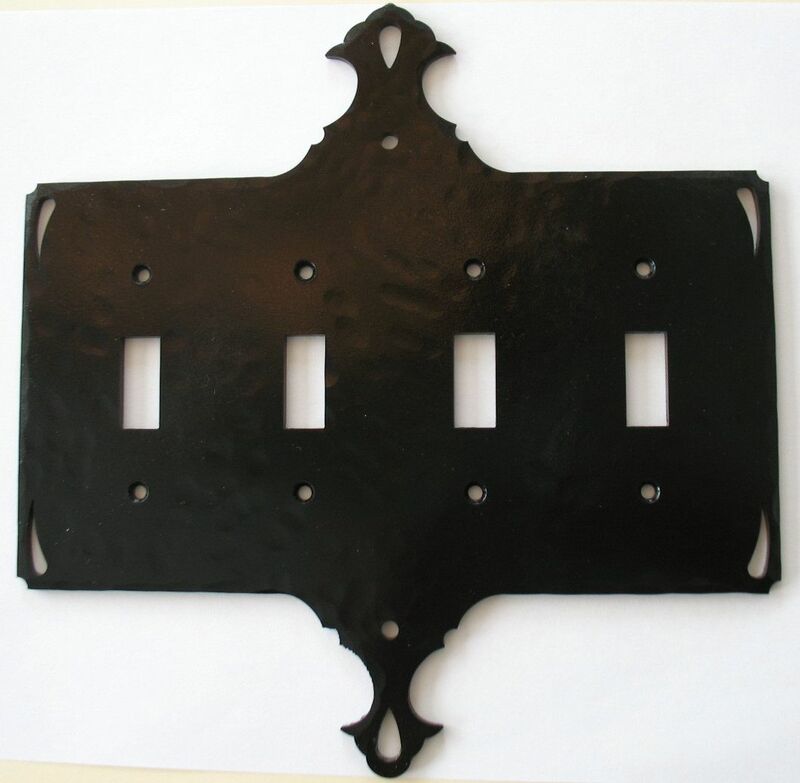 The switch and outlet covers come in several combinations, as shown below. 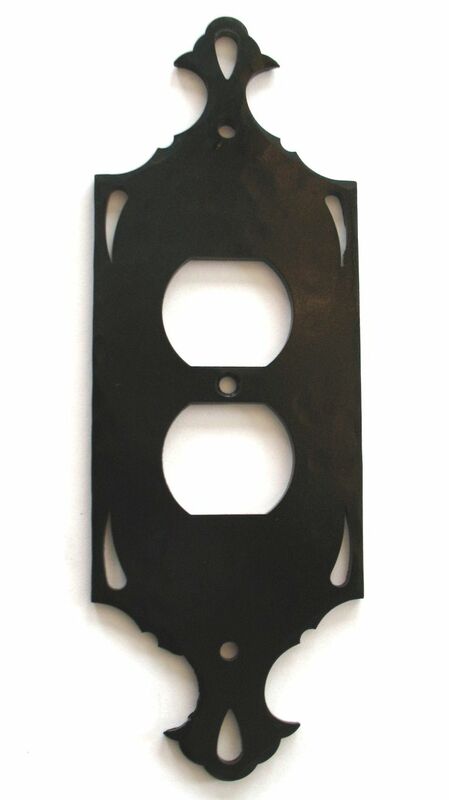 The height of these covers are 8″ to 8-5/8″. 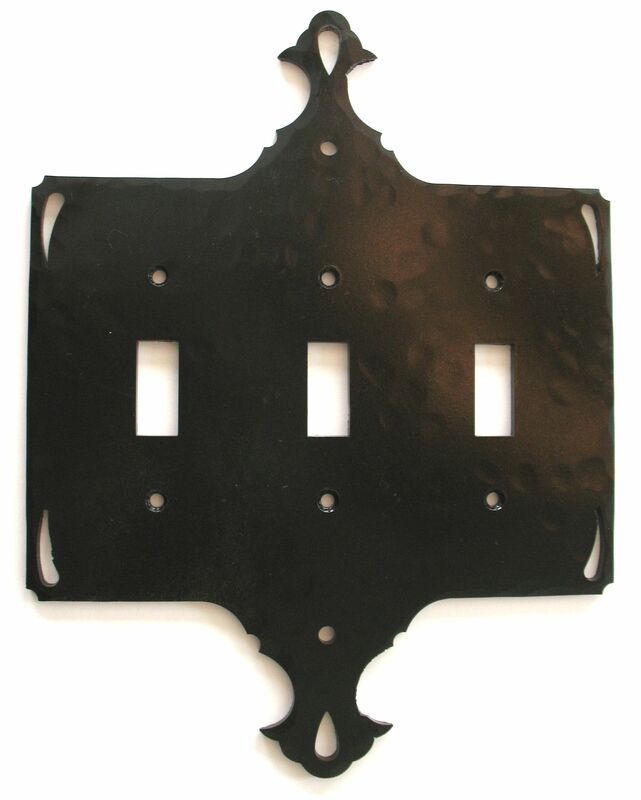 These steel covers are hammer textured, and are painted with a semi-gloss black finish.